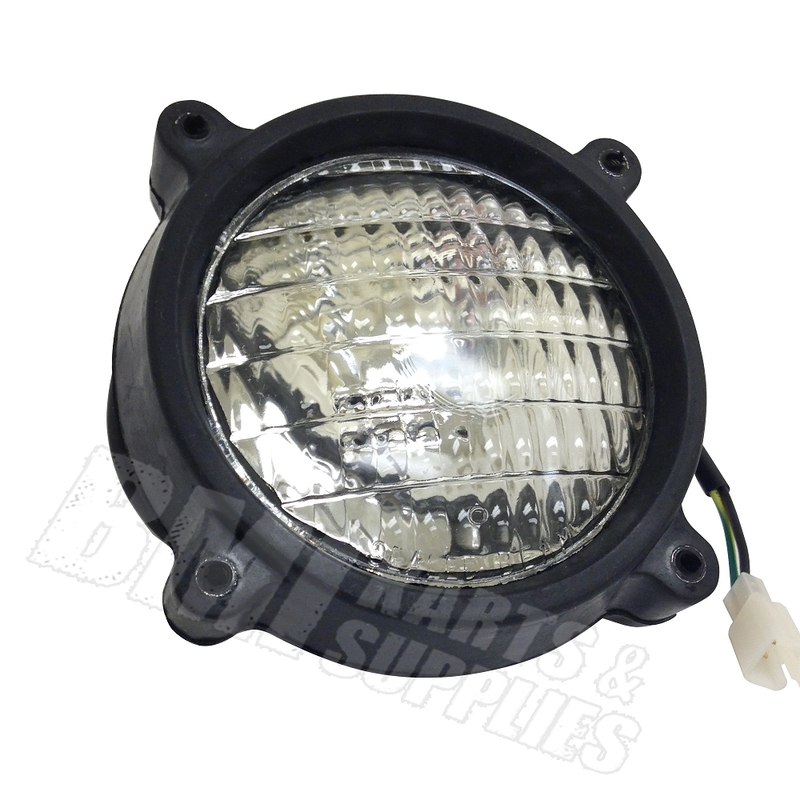 This headlight assembly with housing is compatible with many GY6 150cc go karts, UTVs, & CUVs. It has a 5" overall diameter of the shell, with the lens OD approximately 4". The bolt pattern is 4 holes on a 5-3/8" bolt circle.